Five years ago I had a full time job, pensionable salary and an integral role in the news room of a daily regional newspaper. Then I gave it all up. To become a student. Again. Today, as I sit on my commuter train from Market Harborough to Sheffield, I am planning for revalidation, prepping a meeting with the external examiner and revamping an online journalism module. My role as course leader of the BA Journalism degree at Sheffield Hallam University is worlds apart from my job as features editor at the Northampton Chronicle & Echo. And perhaps surprisingly, it took less time to achieve a role of responsibility in academia than it did in the newsroom. In the past few years I have gone from being a full time PhD student to overseeing 200 students and 10 staff, whilst having a baby in the middle of all of this. Of course hard work and industry experience have played a big part but I truly believe the key to my academic success has been the ability and willingness to travel. My first lecturing job (obtained via an advert on this website) was at Solent University in Southampton initially contributing to feature writing and writing for the web modules, although this soon became a job leading multiple modules . At the time I was living in Northampton but studying at The University of Sheffield. Simultaneously, whilst I was studying in Sheffield, I was offered associate lecturer work at The University of Sheffield. My ultimate aim was to consolidate my AL work to Sheffield, where I was studying. So I approached Sheffield Hallam University and over the course of a year built up a portfolio of AL work in Sheffield. However in the mean time I was living on the road. On a Monday morning at 5am I would drive 100 miles down to Southampton from my home in Northampton and teach there for two days, staying at a bed and breakfast. On Tuesday evening I would come home and then spend Wednesday working on my PhD. Then on Thursday morning I would drive 100 miles north to Sheffield and work there for two days, staying at a friend’s house. Then Friday night (at rush hour) it was a drive back to Northampton for the weekend. This continued for half a year until I was offered enough work at the two Sheffield universities and was able to drop the Southampton job. I then spent a year living half the week in Sheffield and half in Northampton. All the while doing a full time PhD during the evenings, weekends and between lessons. Oh, and I also ran a film festival in Northamptonshire. Then a full time maternity cover post came up at De Montfort University, Leicester and since it was far closer to home (about 25 miles) I went for it. I stayed in this post for six months before a full time job came up at Sheffield Hallam University just as I was getting into the final stages of my PhD and thinking about have a baby. 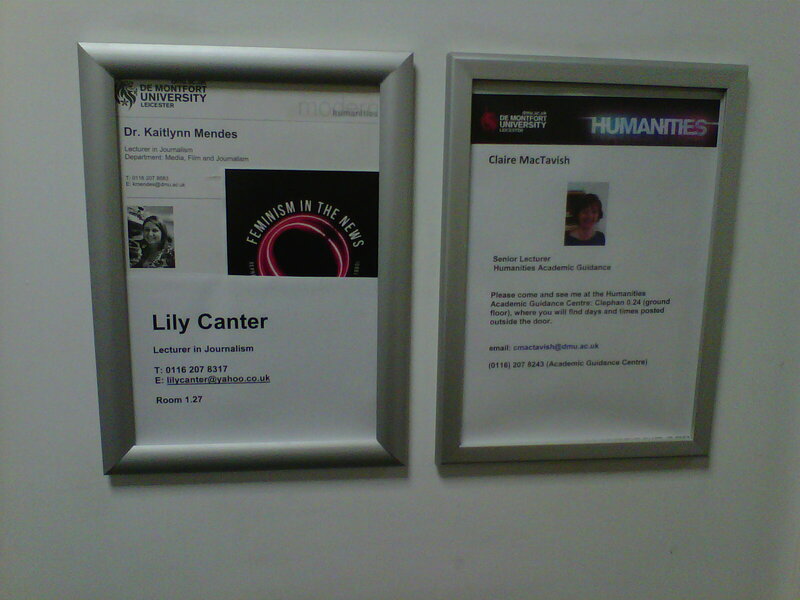 In short, I got the job at Hallam, moved to Market Harborough, had a baby and finished my PhD (in that order). 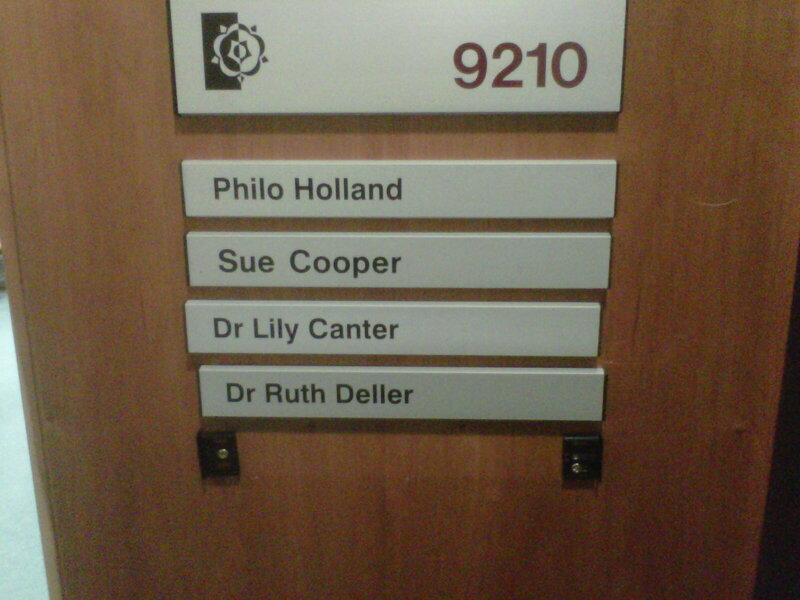 Then I returned to Hallam after maternity leave (and now a ‘Dr’) and took on the role of course leader. I used to live a five minute walk from the newspaper offices and now I live 90 miles from work. My husband has a business in Northampton, so we are tied to the East Midlands. But that doesn’t mean my career has to be.